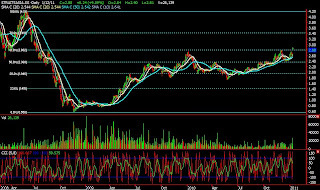 StraitsAsia Closed $2.88, today gap up above the 61.8% fibonnacci resistance and stay above that level throughout the day. This is a bullish sign that professional are buying up the price. 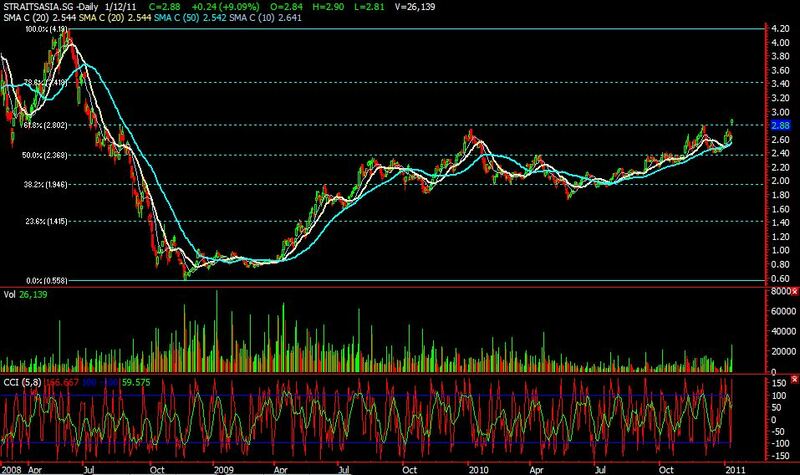 Can consider entry for mid-long term trade (2week-3month) if tomorrow price break above 2.90. Stop loss can be place at 2.78.